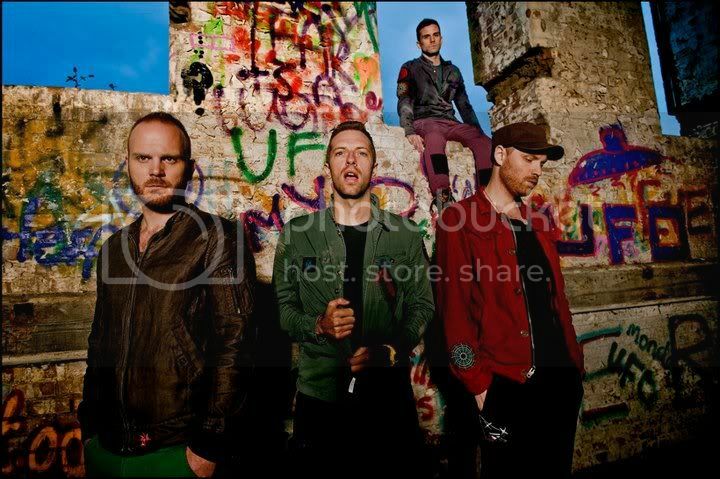 Coldplay have announced the first run of North American tour dates in support of their latest album Mylo Xyloto. The tour kicks off in Canada in April and will take the band through arenas down the west coast, heading east hitting mainly dates in the South before working their way up the East Coast. There are some major markets missing from this list -- the Midwest and upper Midwest are barely represented at all -- and the announcement on Coldplay's web site says "Here Is The Full List Of Shows Announced So Far," so stay tuned. It's quite possible many acts like Coldplay, Bruce Springsteen -- who will tour the US in 2012 -- and others have had trouble finalizing things as a result of the National Basketball Association getting off to a late start this year due to labor issues. The NBA's abbreviated schedule has just now been finalized, freeing arenas to book off nights for concerts, conventions, and other events. I'm not real pleased with the Atlanta date -- July 2 -- and the lack of a Nashville show. I'm hoping that gets corrected when more dates are added. Mylo meanwhile holds strong in the US Albums Chart at #12 and "Paradise," the second single from the album, has spent 12 weeks on the chart and remains in the US Top 40, having peaked at #15. Two of our BlindedBySound critics both liked the album a lot, for same and different reasons (11's review | JN's review). What do you think of the new record? Are you planning on catching Coldplay this spring/summer?